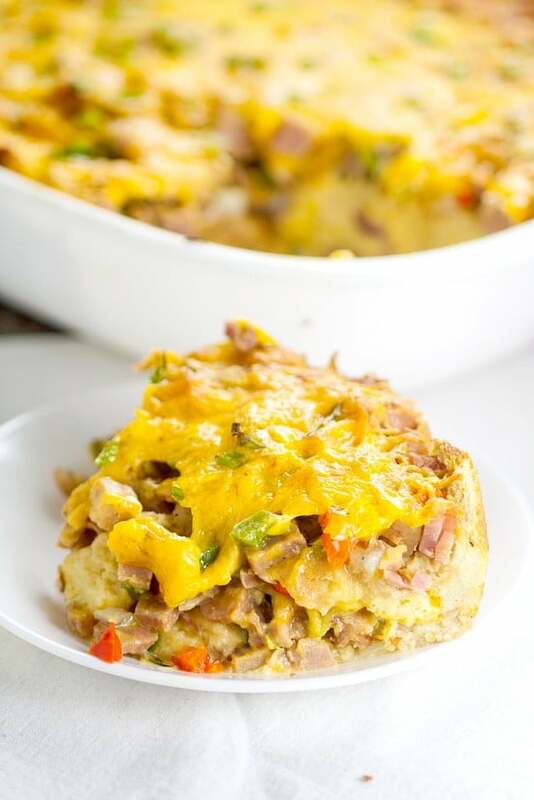 Make this easy, make-ahead overnight Denver Omelet Casserole recipe for a simple and easy egg breakfast casserole that’s guaranteed to be a hit. Denver Omelets are one of my absolute favorite breakfasts. I’m a savory kind of breakfast girl and an omelet really hits the spot. 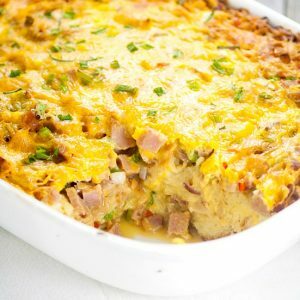 So I thought why not take my favorite Denver omelet and make it into an easy egg breakfast casserole?! 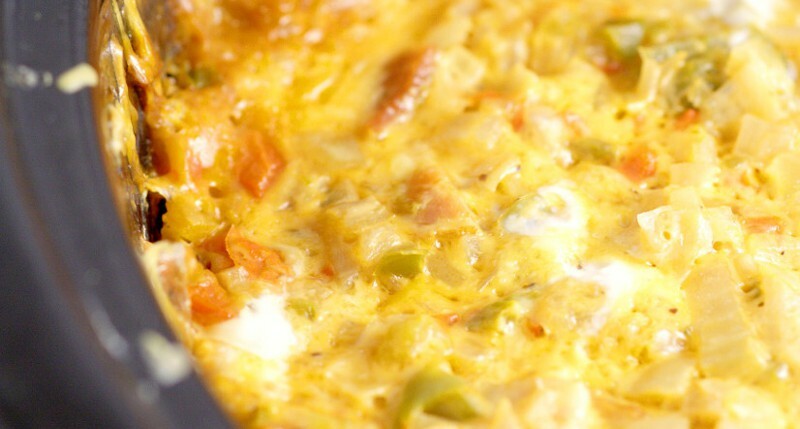 This Denver Omelet Casserole is simple to make, can be made ahead and left overnight, and is guaranteed to be a breakfast hit no matter the occasion. 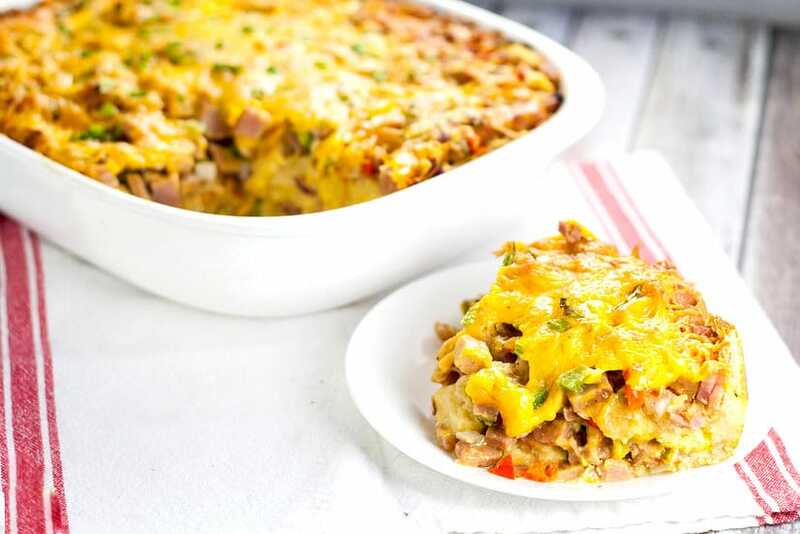 Make this easy, make-ahead overnight Denver Omelet Casserole recipe for a simple and easy egg breakfast casserole that's guaranteed to be a hit. In a medium mixing bowl, add ham, peppers, and onion and toss together to combine. In a lightly greased 9"x13" baking dish, layer half the bread cubes, then half of the ham mixture, and finally half of the shredded cheddar. Repeat layers to use up remaining ingredients. Set aside. In a large mixing bowl, beat together eggs, milk, mustard, Worcestershire, salt, and black pepper. Beat until fully combined. Pour egg mixture over bread, ham, and cheese layers in baking dish. Cover dish with foil, and gently push down to full soak the bread in the egg mixture. Refrigerate for at least 3-4 hours or overnight. Uncover. Top with sliced scallions. Bake at 350° for 50-60, until cooked through. 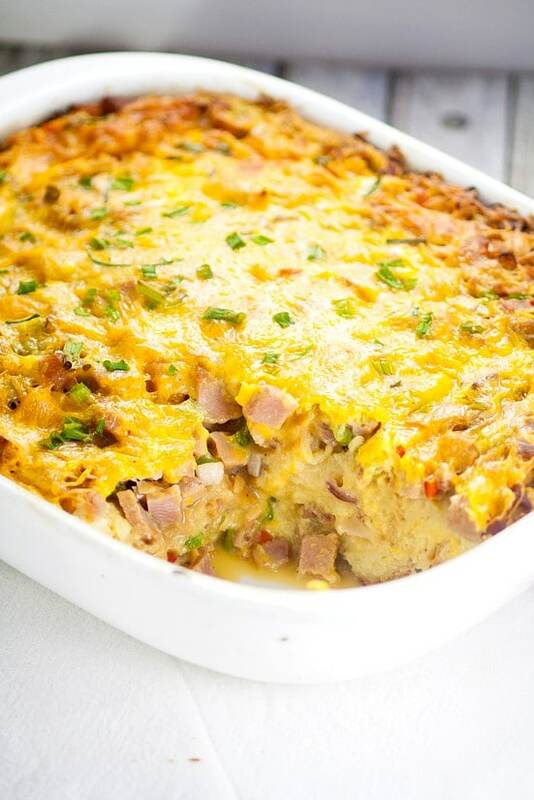 Did you like this Denver Omelet Breakfast Casserole recipe? 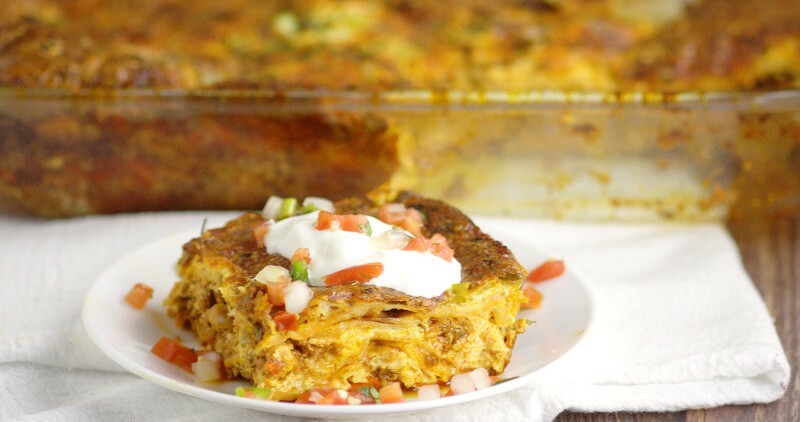 Find more on my Breakfast and Dinner Ideas boards on Pinterest! PERFECT FOR THIS FRIDAY – THANKS! 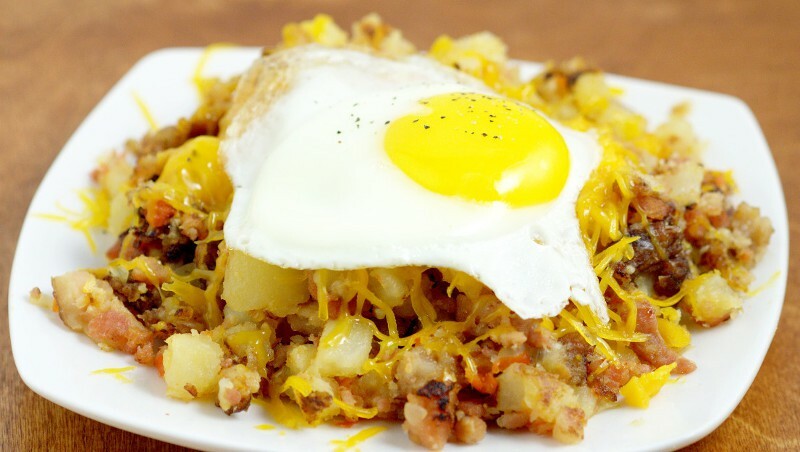 I have the worst time coming up with delicious breakfast recipes for my morning loving husband. This looks to fit the bill perfectly. Thanks for posting! !